CNU conversations: Retrofitting suburbia, organically? 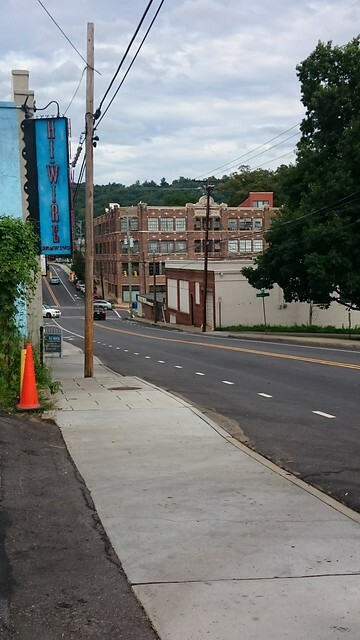 The South Slope area just south of downtown Asheville, now known for its many breweries, had an earlier incarnation as a Motor Mile of auto-related businesses. Before the 1930s, it was mostly small houses. Now that many cities’ favored quarters have started to run out of pre-war neighborhoods (e.g., streetcar suburbs) to gentrify, the next frontier involves mid-century neighborhoods. Yet the typical cycle of gentrification requires fully depreciated, “aged buildings”,” as Jane Jacobs wrote (and Margie Zeidler marvelously retells). An old Modern building can be more liability than asset. The mass-produced materials of that era are often toxic and less-than-durable, and construction quality was sometimes questionable. The density and connectivity are often sub-critical to create a walkable urban place. Infilling is an option, but it is by definition expensive. Under Neil Smith’s “rent gap” theory of gentrification, these places are doomed to decay and decline until their higher use justifies full demolition and replacement — rehabilitation is hardly even justified. And given the tremendous need to backfill infrastructure, full replacement is particularly costly. Tactical and modular approaches to infill show some promise at reducing construction costs. To reduce the costs of rehabilitation, certain smaller jurisdictions have thrived through selective non-enforcement of building codes (going beyond a “lean” approach). Even though the very notion of artist-led gentrification began with plenty of code violations, it all seems so much less romantic today. One possible exception: industrial buildings tend to have flexible interiors, relatively central locations, and (most notably) high lot coverages. In places where their relatively poor street connectivity and access can be surmounted, relatively high job densities could be accommodated within the existing low-rise building stock. This entry was posted in urban design, urban planning. Bookmark the permalink.